There was a time when people said you could learn everything from the internet. These days, it seems to be true that you can learn everything from youtube. I can’t remember when last I tried a new recipe that was not accompanied by a youtube video. A friend recently decided to learn how to knit from youtube. As a start-up entrepreneur, I am spending hours on YouTube learning everything from marketing to financial skills. Pick a skill, and you will find a video about it. Let’s not fool ourselves; even kids realise that having a teacher has some advantages. The biggest advantage to inherently lazy kids, otherwise known as the average child, is that they can put the responsibility for their learning on somebody else. I once taught an extremely intelligent learner. We both knew the only reason why I knew more than she did was because I have been in the world longer. She didn’t need a teacher; she was perfectly capable of figuring the work out by herself. She came to school because it was convinient, a lot quicker and more fun to learn from me in the class than it was to figure things out on her own. If you look at it from that angle, all teachers are better than youtube. They tell you what you have to learn, how to learn it and by when it should be done, and you don’t even have to think of a search word. Not all children see this as an advantage. I often hear home schooled children tell me how much quicker they can learn when they can go at their own pace. The structure and social aspect of a teacher and a classroom is more important to some learners than others. 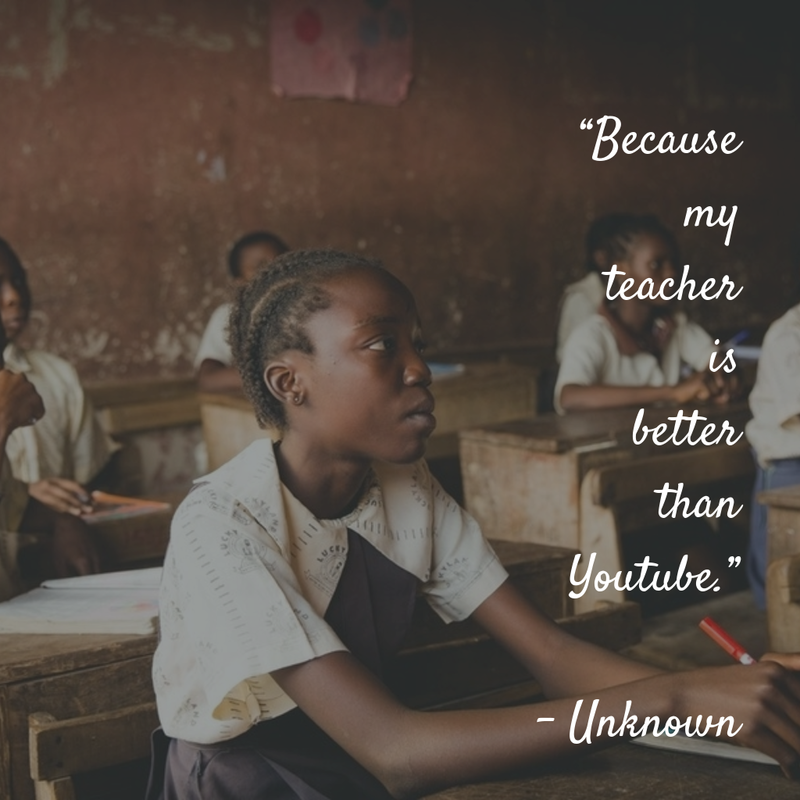 Teachers often justify using Youtube in their lessons, by saying that it is made by the best of the best. Which is, of course, true in some cases but not always, everybody can upload a Youtube video, both the best and the worst. Personally, you will find that I am not the biggest fan of using YouTube in my classroom. If the kids are going to passively watch videos in my class that they can watch at home, there is really little reason why they should come to school. But there are exceptions to that rule. When probability was added to the South African Maths curriculum a few years ago, none of us knew what it was about. I found a set of videos on G’day maths that explained the counting principle in a clear and concise way. Everything I know about the counting principle I learned from those videos. For the first few years, I could see no reason why I need to replicate the videos in class when the learners could just watch the original. I was honest about it, my lessons on the topic would be pale comparisons to the original. Since I was unfamiliar with the topic, I could add no value. So we did a flipped classrooms, where the learners watched the videos at home, and we did the exercises together in class. After four years of watching the videos and working through the exercises with the learners, I started to realise that this is no longer the best way. James was and still is the best of the best that is available on the internet, but in the mean time I have become better, I can now offer more than Youtube. Is my lesson still based on his videos? Of course, they are after all superb. But I can provide a better learning experience. I can stop to answer questions, adjust my examples to the class, go slower/quicker and catch out the learner who is day dreaming. 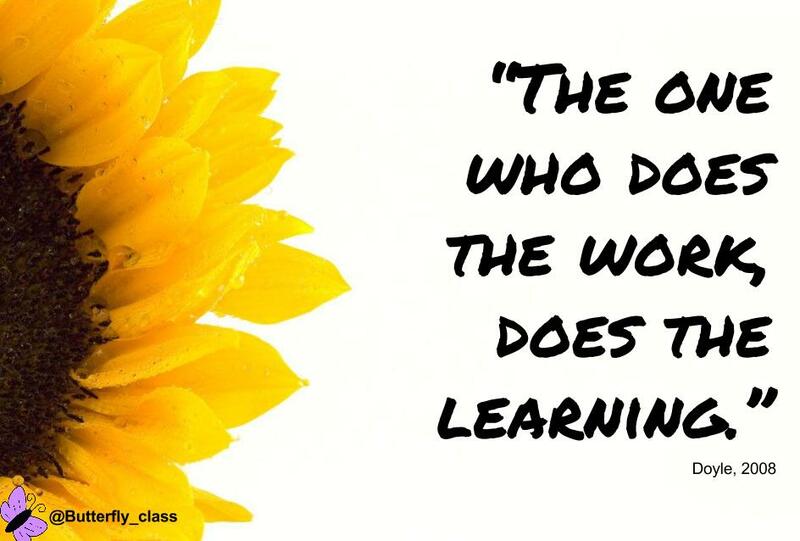 Learners are not passive viewers of my lessons, but active participants. YouTube does not necessary equal passive learners, in a previous post about Active Learning, I included some examples how you can use YouTube to make your lessons even more active. What makes a teacher better than YouTube? Yes, you can find the best of the best online, but even the best video is still an incredibly passive form of learning. Even more so than listening to a teacher. The most boring lecture by a teacher is still more interactive than watching a video. People often confuse the cool graphics and gimmicks on video with active learning. But it is not, it might bring some variety to a lesson, and sometimes videos can take away the boundaries of your classroom and show learners how things work. But it still does not make the learners active. A video cannot change the way they explain because everybody seems confused. A video can not stop to take questions. A video does not realise that half the class have fallen asleep. A video cannot relate the lesson to yesterday’s news. So no, while a good video can be better than a bad teacher, it is not better than a good teacher. Once in a while, I get asked if I think teachers and schools will at some stage be replaced by the internet. My answer is always the same, as long as teachers offer something that the internet cannot, there will be a place for them. If we take it as a given that everything learners have to know, is available on the internet somewhere, we have to ask ourselves, what do I offer in my class that the internet does not? Why would a learner be better off by attending my class rather than watching YouTube? How do I make sure that I am constantly working on the list of things I offer that Youtube doesn’t? Share with us your experiences of YouTube. Do you use it in your classroom? What advantages do you see? Have you tried to incorporate questions into videos using programs like EdPuzzle?Do you think learners can learn better from YouTube than from you? What are the disadvantages of learning from a video?